Accommodating all types of visitors, from leisure travelers to business professionals, the Stamford Marriott Hotel and Spa is an AAA Diamond fixture in downtown Stamford. At the heart of the hotel's elegant interiors, occupying the second floor, is the full-service Agora Spa. Inside the tranquil 3,600-square-foot Agora, derived from the Greek word "to gather," guests are immersed in results-oriented therapies from a comprehensive spa menu and relaxing amenities that include six treatment rooms, healthful cuisine and separate lounge areas. 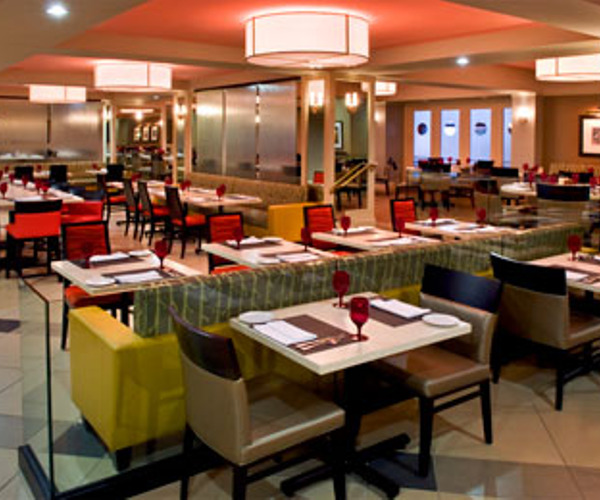 The hotel provides 508 guest rooms and two distinct dining options, including a bar lounge with music. The Stamford Town Center Mall is across the street, and dining and nightlife entertainment are nearby. As its name suggests, Agora, or "to gather," is dedicated to providing a calming sanctuary for guests. The spa, open seven days a week, has six treatment rooms, including a couple's room; there is also a steam room, and locker rooms come equipped with Swiss and rain showers. Separate men's and women's lounges enhance the relaxation experience, offering flat-screen TVs, light refreshments from the spa dining menu and couches. The spa menu includes massage, body treatments, and a varying number of skincare services, including collagen facials, natural (nonsurgical) facelifts and microdermabrasion. Guests can also opt for the signature Agora Perfect Spa Journey, which combines a toning body wrap with a blend of oils and lotions, a customized facial, scalp massage and aromatherapy facial mask. There are also several treatments tailored to gentlemen spa-goers. Guests ages 13 years and older are invited to the spa; they must be 16 years and older to partake in a facial or massage treatment. Along with the spa, amenities at the Stamford Marriott include a 550-square-foot heated indoor/outdoor pool. 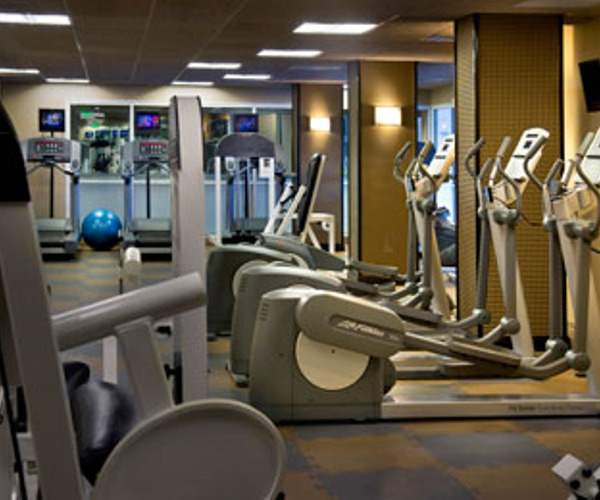 Before a business meeting or spa treatment, guest can squeeze in a quick workout at the fitness center, located on the hotel's first floor. Meeting and event space comprises an elegant 9,000-square-foot ballroom, a 4,500-square-foot Pavilion and 28 meeting rooms that can accommodate up to 1,000. Shopping is directly across the street from the hotel, and favorite sightseeing spots like the Stamford Town Center, Norwalk Maritime Aquarium, Stamford Center for the Arts and Beardsley Zoological Garden are nearby. Guests can also hop on the train going into Manhattan, a 45-minute ride away. Classically designed guest rooms come complete with double or king-size beds trimmed in Marriott's Revive bedding and 300 thread-count linens, mini fridges and coffeemakers. All accommodations come with high-speed Internet access. On-site dining venues entice guests with American fare and a welcoming, casual vibe. Dishes at Sam's American Bistro emphasize regional cuisine with a twist, while menu options at Northern Lights Lounge include pub food for lunch and small plates for dinner. There is also a Starbucks coffee shop. A potion-controlled spa menu is available at both Agora and the restaurants.